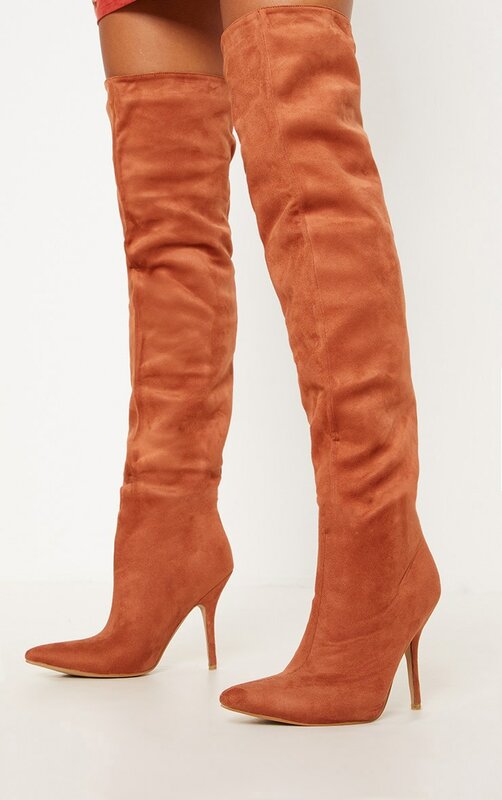 Take your look from 1-100 in these over the knee boots girl. 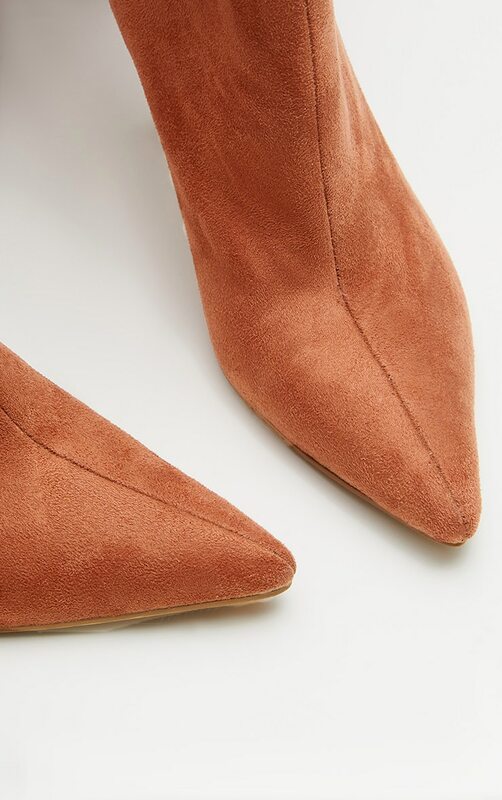 Featuring a rust faux suede material with a pointed toe design and a mid-heel. 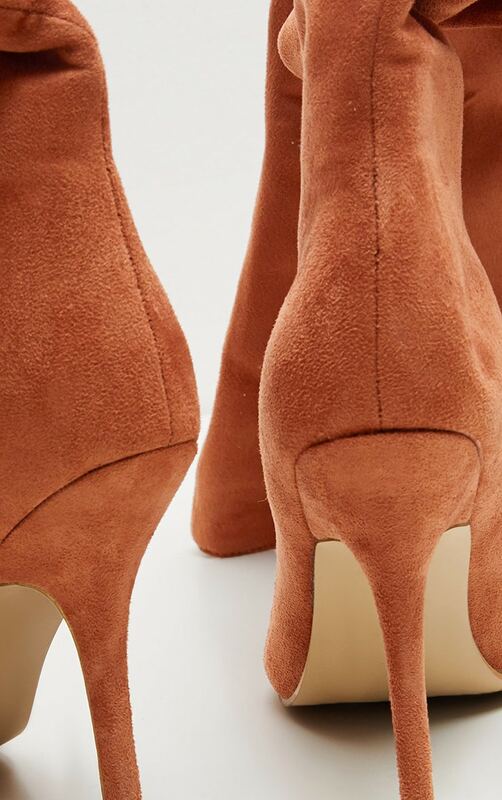 Style these with a blazer dress for a look we are crushin' on.